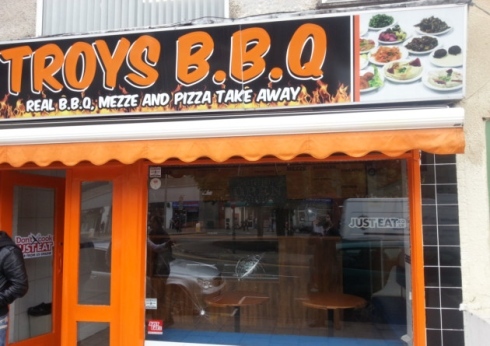 Police are investigating a Turkish-run eatery’s claims that someone attempted to blow up its premises after a fire was started near a set of gas canisters, while one convenience store worker was told “I hate Muslims” after putting a Halal poster in a window – which was also smashed. Ebo Abdullah, who works in the Ezze Shop convenience store in the Alexandra Parade, said: “I don’t feel safe. I always have two friends with me here at night. It used to be nice in Weston, with lots of great people. But some people and teenagers are troublemakers. It is absolutely a racist problem. A big problem. 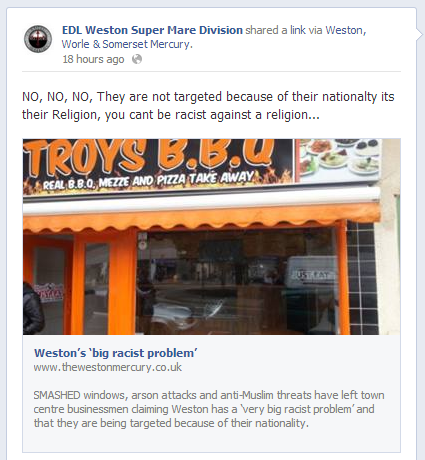 Four years ago a proposal to build a new Islamic centre in Weston provoked a racist backlash that was described as “frankly frightening”. Three men were subsequently cautioned by the police over racist letters they sent opposing the development.